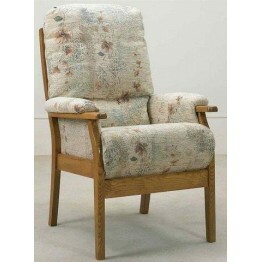 This is the Avon posture chair that is made by Cintique Furniture of Long Eaton, Nottingham. 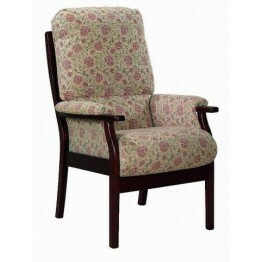 It can be bought in a wide choice of fabrics and also with choice of wood colours on the frame. This chair has a high back cushion that is kept in place as it is attached to the back of the frame and therefore helps with lumbar, neck and back support. Under the seat area there is the full steel spring unit that makes Cintique upholstery so comfortable. Usual delivery time on these chairs is around 4 - 6 weeks but if you need it quicker let us know and we'll see what we can do, and remember it is totally free home delivery across all of mainland England & Wales.